Welcome to the World's Largest Golf Outing's Frequently Asked Questions section. Here you will hopefully find answers to your questions! What is the cost to play in the World's Largest Golf Outing™ (WLGO)? The cost for participating in WLGO depends on the golf course at which you are participating. All golf courses set their own prices based on their facility and what they are offering. Unfortunately, we do not issue refunds, including partial refunds as per the Terms and Conditions that are agreed to by each team or single during registration. However, if you cannot participate we offer you the ability to have someone take your place on your team up to 3 hours prior to your local event's start time. You must reach out directly to the golf course as well as update your team page to reflect the new teammate's information. Your team page should immediately reflect the change. Is my registration fee donation tax deductible? Unfortunately, no. Initial registration fees are not tax deductible as the IRS considers registration fees for charitable events to be similar to tickets to sports games or concert performances. However, if you make additional donations above and beyond the registration fee 100% of those donations will be donated to our charitable partners and are tax deductible. Doesn't answer your question? Please continue to check the FAQs or contact us. Can we merge two teams together? While we are able to merge teams together we prefer that teams sign up in their entirety (as a foursome) to avoid any problems with the merging of team fundraising pages. Please note that we cannot merge a single and a twosome together or teams that have different starting times or are at different courses. If you are a single or a twosome and are interested in playing with another single or twosome team we can work with the golf courses to see that you are paired together. I’m having issues with the website. What can I do? While our website works on all available up-to-date browsers and on Tablets and SmartPhones we recognize that being on a bigger screen can help with the registration and donation process. If you should run into a browser issue please make sure you are first on an update-to-date browser. Our preferred browsers are Google Chrome or Mozilla FireFox and to turn off pop-up blockers for this site. If you are still having trouble registering or donating please give us a call - 703.940.3600. Can my golf course participate in WLGO? Golf courses across the country are welcome to host the World’s Largest Golf Outing. Click Here to register your course, or contact us (info@worldslargestgolfouting.com) for more information. The deadline to register your course is May 15, 2019. What is the goal of WLGO? The goal of WLGO is to enjoy a great day of golf while making a difference for our charitable partner Fisher House Foundation. Who can participate in WLGO? WLGO is open to any and all golfers of any skill level, ages 13 years and older. At least two members of a foursome team or one member of a twosome team must be over 18 years of age. If you have someone 13 years and younger that would like to participate please reach out directly to the golf course before registering. A USGA handicap is not required. What is a scramble format and how does it work? A Scramble Format is often used in amateur events such as this. A four person scramble format is a fun way to play events and allows players of all abilities to play together. In a scramble, each player tees off on each hole. The best of the tee shots is selected and all players play their second shots from that spot. The best of the second shots is determined, then all play their third shots from that spot, and so on until the ball is holed. Can I just watch WLGO? We ask that you reach out directly to the golf course to confirm if they are allowing spectators. If I don't want to play in WLGO can I volunteer? If you are interested in volunteering at a WLGO participating facility, please reach out directly to the General Manager at the course where you would like to volunteer. Volunteers will be based on the needs of the course and considered on a case by case basis. First, have you contacted everyone you plan to play with? It’s important to know if you plan on being a single or a two person team to be paired up later, or a strongly recommended four person team. Once signed up we cannot merge teams together. Now that you have gotten your team together please visit our Register Page to find a location nearest you and start the registration process! Once registered, the purchaser (Team Captain) will receive a confirmation of purchase that includes a link to create/update your Team Page. While our website works on all available up-to-date browsers and on Tablets and SmartPhones we recognize that being on a bigger screen can help with the registration and donation process. If you should run into a browser issue please make sure you are first on an update-to-date browser. Our preferred browsers are Google Chrome or Mozilla FireFox and to turn off pop-up blockers for this site. If you are still having trouble registering please give us a call - 703.940.3600. Registration will only be processed through the World's Largest Golf Outing website. Click Here to Register for this year's event. The event is sold out. Is there any way to still register? If the event is sold out the best thing to do is reach out directly to the golf course at the number provided on its course page and see if there may still be space available or a waiting list your team can get on. We also recommend taking a look at additional locations in your state to see if another course still has some space available. Registration will stay open through the event or until an event is sold out. The Organizer is not responsible for lost, late, misdirected or otherwise undelivered mail, or entries that cannot be processed due to phone, network, electronic or computer hardware or software failure, or technical failures of any kind. What is the cost to play in WLGO? Are the prices per individual or per team? The prices at each course are per team (foursome or twosome, where applicable) with a limited number of single spots (if applicable). We strongly encourage all teams to reach out to their perspective team members before registering and recommend that all teams, if they can, register as a foursome as the event is a four person scramble. We do however want to ensure that the maximum number of participants get to experience this great day which is why we offer the ability to register as a twosome or as a single. You have until 48 hours before the event to fill out your team or up to 3 hours prior to find a substitute we just ask that you inform the golf course and update your Team Page ASAP to ensure they know all your players. What is included in my team's paid registration? All paid registrations include a $10 per player charitable donation, green fees, shared cart, warm up bucket (if applicable), lunch (if applicable), local prizes and awards ceremony following play. Any additional inclusions are course specific and are not guaranteed to be available at other locations. I can’t play. Can I get a refund? Unfortunately, we do not issue refunds, including partial refunds as per the Terms and Conditions that are agreed to by each team or single during registration. However, if you cannot participate we offer you the ability to have someone take your spot on your team up to 3 hours prior to your local event. You must reach out directly to the golf course as well as login to your team page and provide the new teammate's information replacing yours. A playing partner can’t play. Can I get a refund? Unfortunately, we do not issue refunds, including partial refunds as per the Terms and Conditions that are agreed to by each team or single during registration. However, if your playing partner cannot participate we offer you the ability to have someone take their spot on your team up to 3 hours prior to your local event. You must reach out directly to the golf course as well as login to your team page and provide the new teammate's information replacing your playing partner's. What happens if our event is rained out? 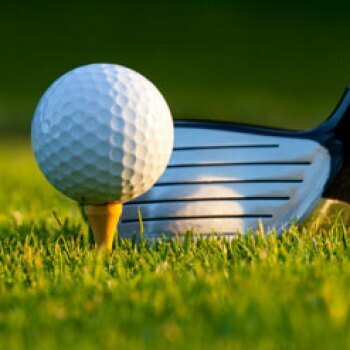 If fewer than 9 holes of a local event can be completed due to inclement weather, or the course is deemed unplayable by the course, an 18-hole or 9-hole, non-tournament, complimentary round certificate to that course will be issued to teams that were unable to complete 9 holes of golf by that course. Teams completing fewer than 18 holes, but more than 9 holes, will not be compensated. Local events will not be rescheduled. Donations will not be refunded under any circumstances. Please contact the course where you registered for additional information or regarding a round certificate. Is there a minimum age to play from Senior Tees? The age is based on the course's specific rules. Please contact the course to find out the details. I can’t play or one of my partners can’t play? If you cannot participate we offer you the ability to have someone take your spot on your team up to 3 hours before the event starts. You must reach out directly to the golf course as well as update your team page with the new teammates' information. I have donations to bring day of. How does that work? For those wanting to bring donations the day of their event please go to the course and fill out a WLGO Donation Form. All required sections of the form must be filled out (please write legibly) in order to process your donation request and associate it with the correct team and/or course. Please note: checks must be made payable to World's Largest Golf Outing - Charity Donation. If you have any cash donations you want associated with your team we strongly recommend depositing them into your bank account and donating online via your team page for the same amount to ensure credit is given right away. You can also bring a physical check stapled to a filled out WLGO Donation Form to your local event and have them mail it to WLGO Headquarters. Please note: you are relying upon the golf course to ensure your donations make it to us. You will receive a notification from the Fisher House Foundation regarding your donation through the World's Largest Golf Outing before the end of the year. Can I transfer to another team? If you are the purchaser of the Team then unfortunately we cannot transfer you to another team at this time because your registration fees are tied to a specific course as well as your Team’s fundraising page. However, if you are a member of a team and your team has agreed to let you transfer to another team then you would simply remove your name and information from your first team's page and add your information to your new team's page. We strongly recommend that if you choose to transfer teams, you find a replacement for your original spot to ensure maximum participation and not leave your friend's one team member short! How do I create a team after registering as a single? By making the choice to register as a single, you must fundraise and compete as a single for WLGO. However, we do allow singles to request that the course pair you up with other singles you know who are participating at your local event. To request to play with another single please contact us. What is Fisher House Foundation? 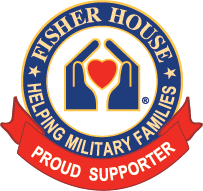 Fisher House Foundation (FHF) is a non-profit foundation that operates a couple of different programs but is best known for a network of comfort homes where military and veterans’ families can stay at no cost while a loved one is receiving treatment. Please visit their website to learn more about this great foundation. Can a corporation sponsor multiple teams? Yes, we encourage companies to enter and/or donate on behalf of multiple teams. You can visit our Team Page to search for the team which you wish to donate on behalf of. Select an amount or type in a specific amount and complete the donation. Head back to the Team Page to search for any additional teams you wish to donate on behalf of and complete the same process. For larger or more complicated donations, please contact us as we'd be more than happy to help. How does the fundraising work? Do we make a pledge? Just by playing in WLGO you are fundraising for Fisher House Foundation as $10 per player of the registration fee is automatically donated. We are asking teams to "do their best" to raise additional donations. 100% of those additional donations will go to the Fisher House Foundation. We have some tips on our fundraising page to help you get started today! I want to mail my donation. How does that work? Unfortunately, mail-in donations will not be accepted this year. If you wish to make a donation offline, please bring your donation to the course of your choosing along with a Donation Form, and your donation will be made on behalf of the course on the day of the event. Please note: you are relying upon the golf course to ensure your donations make it to us. We strongly encourage that all donations be made through the WLGO website to ensure a quick receipt and to allow donations to be made to specific teams. 100% of your donation will be donated to charity. You will receive a letter of acknowledgement from Fisher House Foundation regarding your donation through the World's Largest Golf Outing before the end of the year for tax purposes. For those wanting to bring donations the day of their event please go to the course and fill out the WLGO Donation Form. All required sections of the form must be filled out (please write legibly) in order to process your donation request and associate it with the correct team and/or course. Please note: checks must be made payable to World's Largest Golf Outing - Charity Donation. Can I be a sponsor of WLGO? 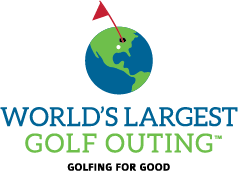 Please contact us regarding any potential sponsorships info@worldslargestgolfoutings.com. Can I be a sponsor of a Course participating in WLGO? There are multiple ways that you can become a sponsor at a local participating golf course. Many courses provide Hole Sponsorships, Lunch Sponsorships, Contest Sponsorships and more. Please reach out directly to the General Manager of the course regarding sponsorship opportunities.